Peter Corris has been around for a long time writing his first Cliff Hardy novel in 1980. Gun Control is the latest Cliff Hardy book, seeing Cliff hired by entrepreneur and one-time pistol-shooting champion Timothy Greenhall to investigate the violent death of his troubled son. Within the first few chapters my disappointment was evident. I was left scratching my head as to why he was ‘the godfather of Australian crime fiction’ when there are many Australian crime writers who offer way more strength in characters and plot. T.W Lawless is one that comes instantly to mind with his Peter Clancy series. For myself Peter Corris did not give me enough connection with the characters. They lacked strength and the bonding process was slow, if at all. I do not feel I engaged and got to know the characters personally. There was no falling in love with a particular character or fondness. The lack of connection lead to just a read for myself instead of a journey. 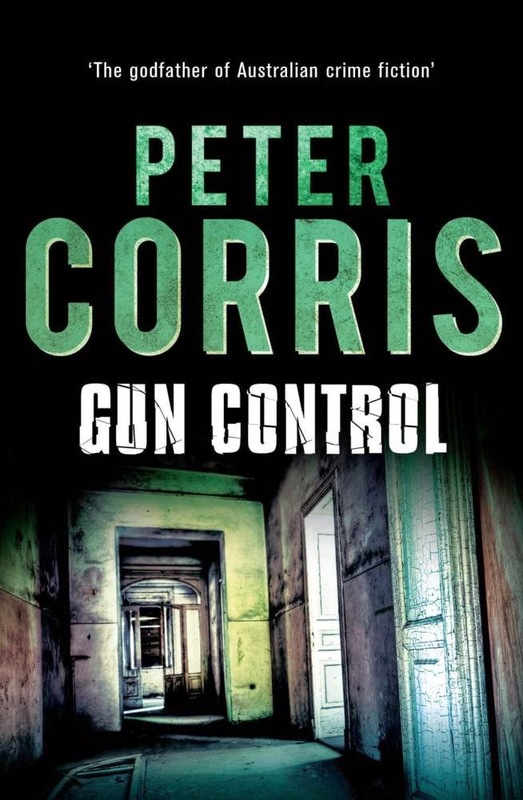 Peter Corris can write but for a man who has been labelled with a strong title and one who has been writing Cliff Hardy novels for over 20 years I was expecting more of a developed character with a plot that took me there, instead of just told me. The back blurb of Gun Control speaks of way more strength than the inside. There is a death to be investigated, followed by two murders. There is mention of a hook up with a policewoman and of an alliance with a bikie chief. It speaks of Hardy untangling the conspiracy behind the murders and of confrontations. Yes they happen, but they just happen. For me I was not ‘involved’ in them. I was not left gasping or sitting on the edge of my seat hoping Cliff made it through and caught the bad guy. When Cliff was thrown in the car and taken for a drive I was not left wondering if this was the end of him or how he would get himself out of this situation. The wonderful thing about books is that they are diverse and enable readers to take from them different thoughts and feelings. Some we connect with, others we don’t. Some love one book, others don’t. 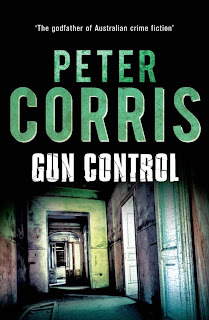 I appreciate that Peter Corris has a following but as a crime fiction reader I will continue to question why he has been given a title that befits so many other crime fiction writers. Is it the quantity of Cliff Hardy books he has published? Is it the length of time he has been writing? Is it just purely a spin off of the column he writes and good marketing? He has experience. He has history as an author. He even has awards. Peter Corris writes with professionalism that includes the occasional one liner to keep you interested but maybe, just maybe, he is being given attention that is leading to the neglect of the strength of other crime fiction writers in Australia. Overall Gun Control by Peter Corris is a worthy weekend read if you are looking for something to fill in the hours. It has left me wanting to know more about Peter Corris himself and wondering if maybe I should read another Cliff Hardy novel in order to form a deeper opinion of the series as a whole. I can see the writing style of Peter Corris fitting nicely into that of autobiographies and will be delving into that side of Peter Corris the author.